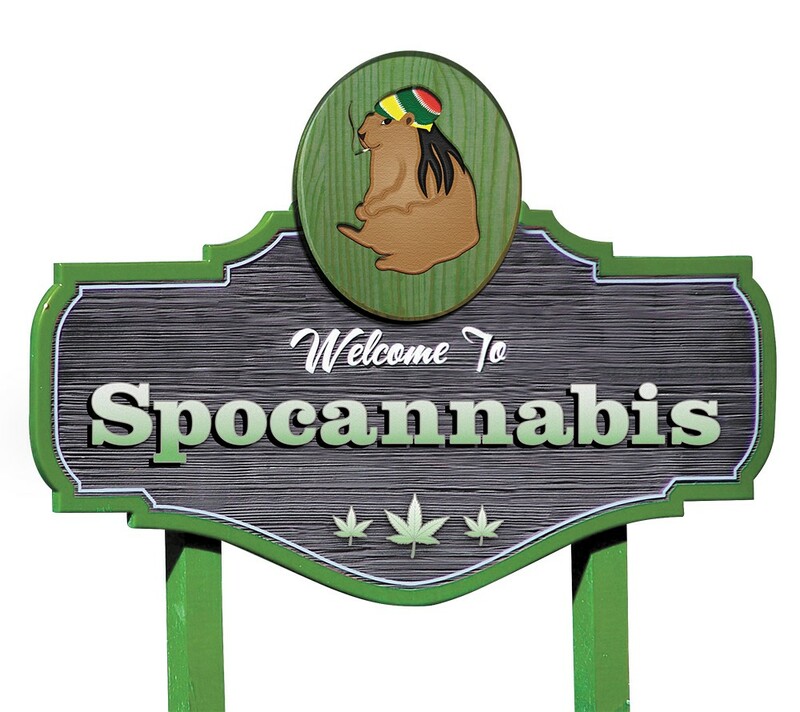 Any and all variations of tweaking our city's name around "Spokannabis" were the biggest vote-getters, but playing with our place names was a popular approach overall. "The Evergreen State of Mind" was big, and a couple of voters relied on our old geographical marker for inspiration, conjuring up "The Inland Hempire" and "The Inhale Empire." And who wouldn't want to spend April 20 in our lovely "Highlac City"? Many of our readers are not impressed with this new direction one bit, sharing answers like "Not all of us are idiot stoners," "Kill brain cells, be dumb, smoke pot," "Watch as society crumbles" and just a simple "No thanks." And plenty of suggestions did provide fodder to those who view the whole crazy idea as the product of too many addled minds: "Yes, I'm high" (um, thanks for the update); "Yeah man, far out" (um, 1968 called and wants its catchphrase back); and "Dude, we totally forgot our slogan" (this tourism thing is so totally gonna work). Of course advertising offered clever prompts, especially the old chestnut, "Near Nature, Near Perfect," which spawned the likes of, "Near Gnarly, Near Perfect," "Near Nature, Near Cheetos" and "Near Nature, Near... wait, what was the question again?" We also got twists on national campaigns, like Southwest Airlines' with "Wanna Get High?" Nike's is almost too easy: "Just Doob It." As we prepare for this wave of pleasantly preoccupied pilgrims, here are three final entries to ponder: "Hire Cheech and Chong to cut a TV ad for us," "Land of Marmotjuana" and "Munchin' in the 509."